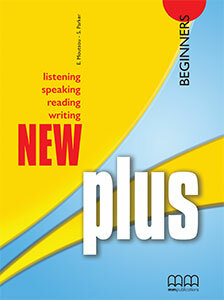 New Plus is a unique series for skills development which consists of ten books and takes learners smoothly from Beginner to Proficiency (C2) level. 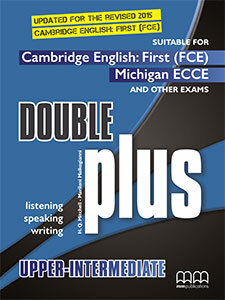 New Plus Michigan is a series of two books in American English which develop students’ listening, speaking and writing skills and prepare them effectively for the corresponding parts of the Michigan ECCE examinations. 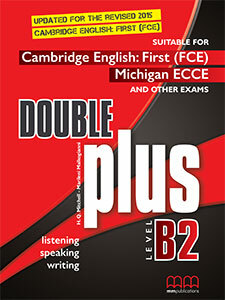 Double Plus B2 is a skills development book which prepares students for the Cambridge English : First (FCE-Br.E), Michigan ECCE-Am.E and other exams at B2 level.It develops students’ listening, speaking and writing skills. It is part of the highly successful Double Plus series. 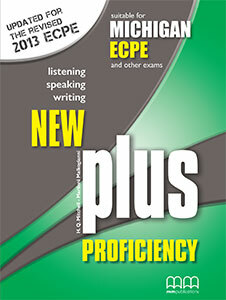 Double Plus is a skills development series consisting of two books. 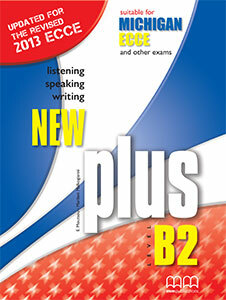 This series prepares students for the Cambridge English: First (FCE-Br.E), Michigan ECCE-Am.E and other exams at B2 level.